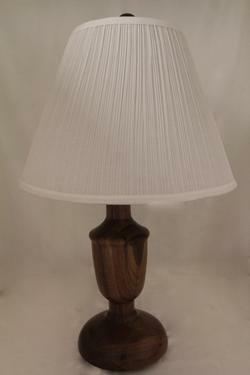 These table lamps are made of walnut, on the right, white ash in the center, cherry on the left. They each have their own character by way of grain and shape. 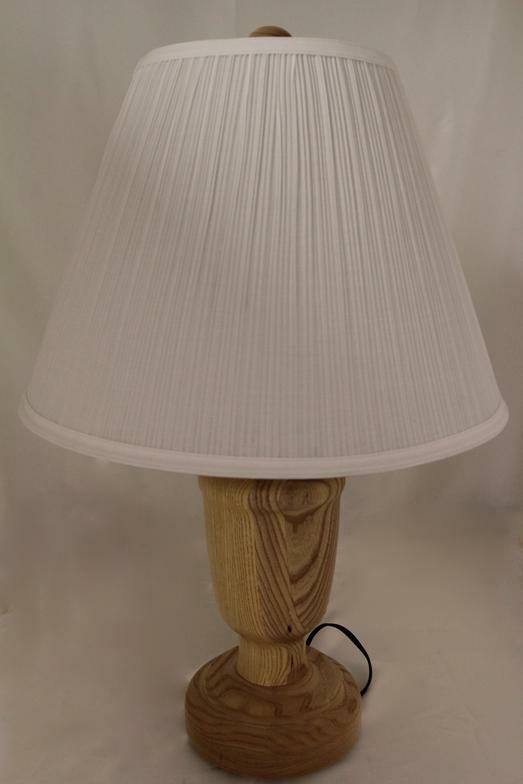 The lamp hardware is brass plated and the cords are U.L. approved. 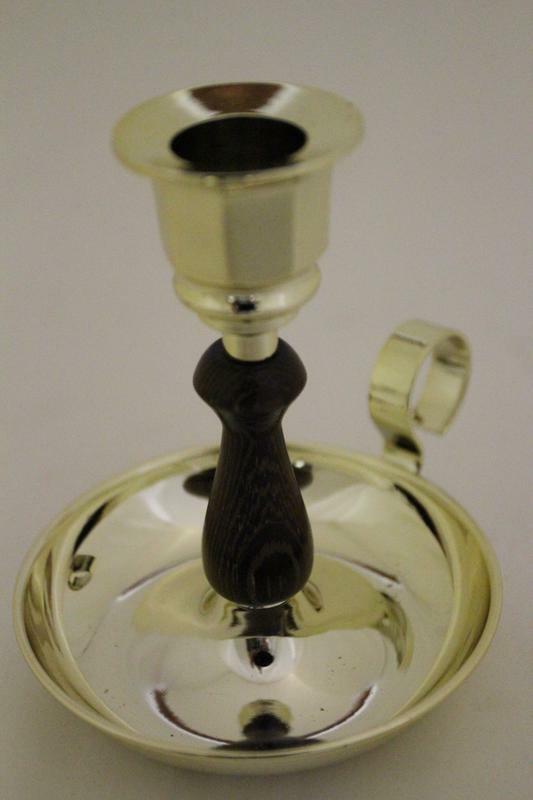 New candlesticks have been made and more are on the way. 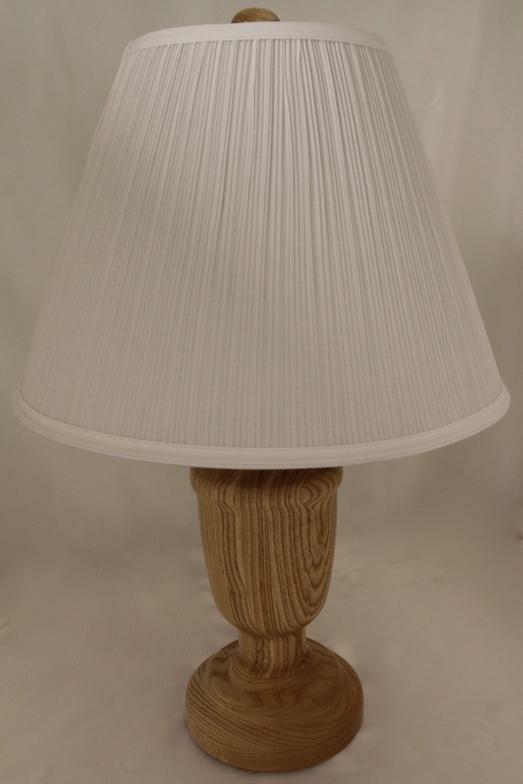 Some of the items on this page are available in the catalog. If you are interested in something that is not in the catalog please CONTACT US. We welcome your thoughts for a personal design, please CONTACT US regarding a consultation. The paired candlesticks show more than one view of the same candlestick. They may be purchased as a pair or separately. The other lights are shown in single views. The numbers in the upper right hand corner is the number you could use to CONTACT US with when you decide which one you want. 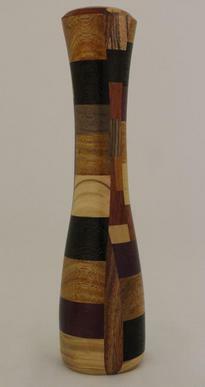 This candlestick is turned from exotic woods: Purpleheart and Zebra wood, and domestic woods: walnut and white ash. 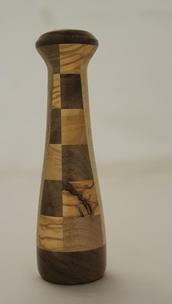 The placement of the woods and the grains produce the unique design. These candlesticks each have 4 pieces of wood. Exotic wood: Purpleheart and domestic woods: cherry, white ash, and walnut. The grains are different in each one making them "one of a kind". They may be purchased as a pair or separately. They measure 2.5" dia. 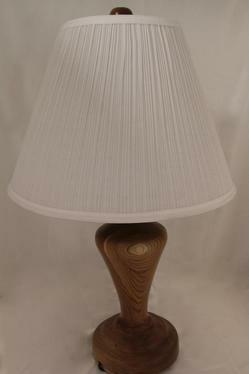 x 8.25" h.
This candlestick contains 70 pieces of wood. Exotic woods: Bloodwood, Canary wood, Olive wood, Panga Panga, Pau Amarello, Purpleheart, domestic wood: walnut. The grains and placement of the woods make it unusal. It measures 2' dia. 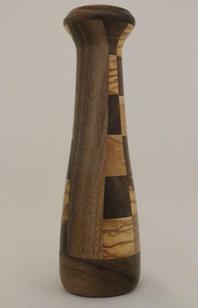 x 8" h.
This candlestick contains 28 pieces of wood. 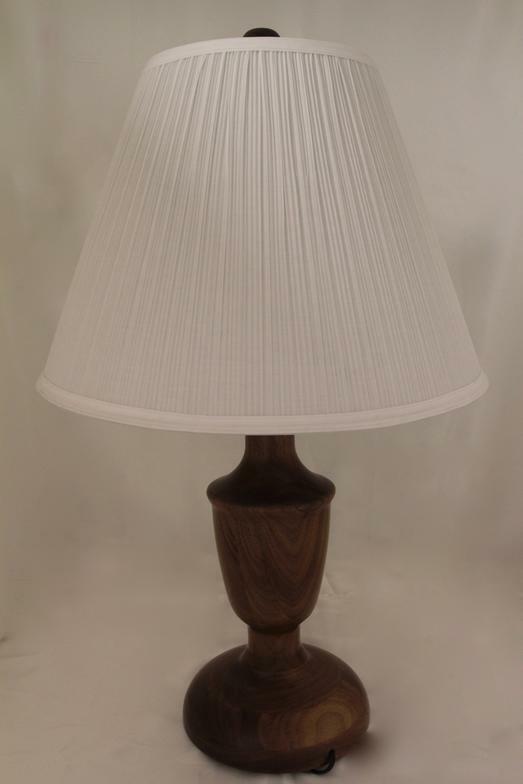 Exotic: Olive wood and domestic: walnut. Placement and the grains of the woods as they are turned produce a unique candlestick. It measures 1.75" dia. x 6.25" h.
These candlesticks have been turned "off center" giving them the unusual shape. The grains vary a great deal in the different woods. The one on the left is exotic woods: Canary wood Purpleheart,and Zebra wood, domestic wood walnut and white ash. 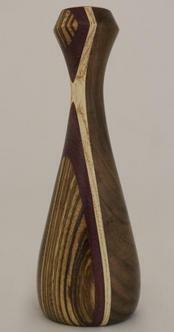 The next is exotic woods: Canary wood, Purpleheart, and Zebra wood and domestic woods: walnut and white ash. The third from left has exotic woods: Purpleheart and Zebra wood, domestic woods: cherry and white ash. The far right has exotic woods: Purpleheart and Zebra wood, and domestic woods: cherry and white ash. The confetti lights on the left are turned from cedar, which has very interesting grains varying from yellow to brown or black, The confetti lights on the right are turned from walnut, the grains are less dramatic. The shapes accent the grains, and add interest. 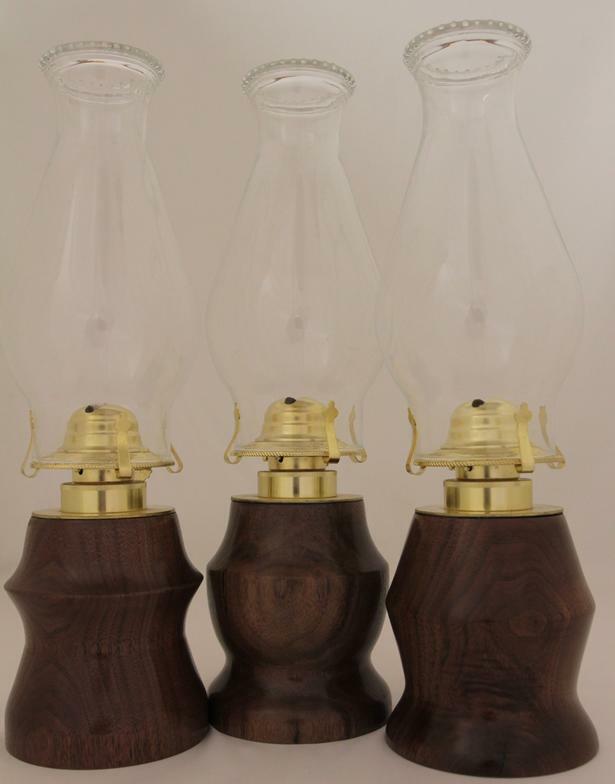 These hurricane lamps are turned from walnut. Each has a unique shape accenting the grain of the wood. 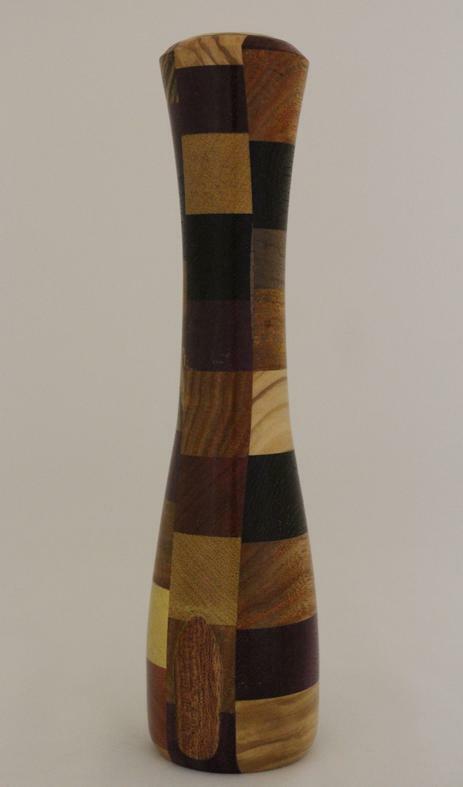 This candlestick is turned from exotic woods: Purpleheart and Zebra wood and domestic woods walnut and white ash. The placement of the woods and the grains of the wood create a very interesting design. 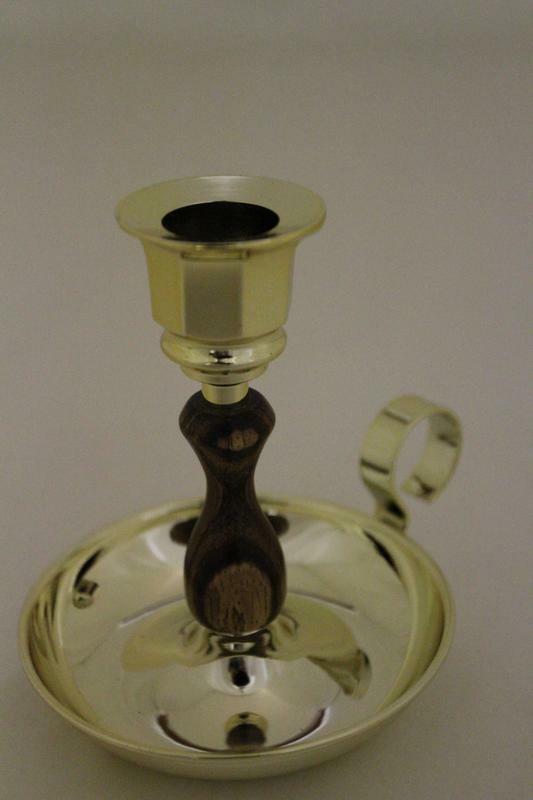 These Candle Holders have a brass finish. The one on the left has exotic Cocobolo wood for the center, on the right is exotic Panga Panga. They both have very distinctive grain and color. The Panga Panga is almost black. The base is 3.5". They sell for $30.00.